Seahorse is unique in that it is very deliberately written from no national perspective. 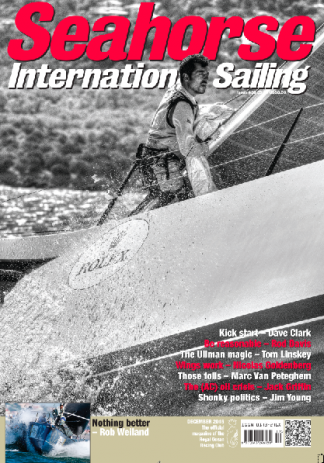 Dedicated to sailboat racing, Seahorse's pool of contributors are drawn from the ranks of the finest minds, opinion formers, movers, shakers and has the voice of those at the very apex of the sport.Every issue brings you news from around the world, with interviews and opinions from those most respected in the sport, RORC updates and a race calendar and the Seahorse Sailor of the month competition.Seahorse magazine is a must have for those serious about sailboat racing. Be the first person to tell us what you think about Seahorse International Sailing and you'll save £2.50 on your next purchase!